For years we have felt that the task of feeding a good newsletter was beyond our startup team. We respect the journalistic grind required to continue to feed regular publication schedules and did not want to take on a task we could not do well. We recently decided that perhaps now we had the resources and scope to offer up a regular collection of our thinking, experiences and reflections that might play a small role in provoking the thinking of our clients. Our aim is to add something intelligent and hopefully worthy of your scarce time that could help surface a new approach to a challenge you face, a new insight in a domain you know well, and perhaps even a brief smile as we endeavour to explore the tapestry of organisational life. Steve Martin famously said, Always stop before the audience wants you to. Lets hope we do a good enough job to earn your blessing to publish this more than once. In this section we anonymise a recent leadership case from our work to present it here as a surgeon might at a medical conference for the collective consideration of their colleagues. We invite you to share it, book-club-like with your colleagues for your own discussion at your next team meeting. Lisa runs a processing team in the operations area of a large organisation. Her area ultimately reports to the COO and everyone would describe her part of the organisation as back office. Lisa leads of a team of six peers who all do a similar role in processing their customers requirements. The six peers are organized along either product-type lines, or geography, but they ostensibly do the same job. Nine months ago, a member of her team, Trish, went through an acrimonious split from her husband. Trish asked for and received some paid leave to take care of the difficult personal matters which included adversarial court appearances and several rounds of mediation. Trish also took some mental health leave. It was a very difficult time for Trish. Lisa allowed Trish to arrive later to work (now that she had sole responsibility for getting her young child to school) and also to leave early for the same reason. Lisa also tolerated unscheduled breaks as Trish had ongoing phone calls with lawyers attending to her personal matters. Trishs work quality and productivity suffered through this period which Lisa chose to ignore given everything Trish was going through. Two of Trishs colleagues covered her work while she was absent. More recently Trish has found a new partner, been on an overseas holiday, and shown happy holiday photos to her colleagues at work. Her work quality continues to be below that required. She is still taking extended breaks to attend to personal matters. Her peers have expressed frustration to Lisa than Trishs work is not up to par with errors being found and needing correction. Lisa consulted with her HR colleagues who suggested she not give Trish a 2 (out of 5) on her performance review as it could trouble an already fragile individual. Lisa was advised to give Trish a 3. Their organisation prides itself on being a leader in mental health in the workplace. How might Lisa deal with this? Where we contrast a book that speaks to the mainstream way of thinking about leadership and management with another book written in a different scholarly tradition. We hope the contrast forges a crack in established thinking and lets new light through. You may have noticed the recent trend of executives who have worked at the sexiest of Silicon Valleys organisations harvesting an Act 2 from that gig by publishing a book on their experience and touring the ideas on the speaker circuit. Patty McCord follows in Googles Lazlo Bocks footsteps with her own book on her time at Netflix as Chief Talent Officer. Powerful offers a useful insight into how Netflix evolved its people practices as it took itself from mail order DVD firm via streaming, and into a content production house. The author writes in the tradition of the Hawthorne studies from the 1930s with a hire great people, give them a clear purpose and deliverables, and get out their way mantra that is as seductive now as it was when Elton Mayo penned the idea 90 years ago. Patty calls for wide two-way constant communication of ideas and candid exchange. And giving everyone a clear idea of the totality of what the organisation is working on and trying to do. These are inarguable as worthwhile notions. One is wise to enjoy the Silicon Valley tales with caution on their cut & paste applicability back in your mature enterprise. Its an interesting read and will help you if youre wanting to activate some of those agile ambitions in your workplace. This is an ethnographic study of an organisation called Tech. Like an anthropologist camping with a mountain tribe, Kunda lived within a team of engineers in this global behemoth for several months to observe their daily practices, routines and conversations. He captured the contradictions between the espoused culture in the slide decks, kitchen posters, and induction sessions with the experienced culture at the water-cooler and in the corridors. It is a thoroughly referenced yet easily read narrative drawing sociological insights that help a manager make sense of the gap between the cheery narrative of the alleged culture and the messier knotty lived experience of life at work. The book will be useful for HR & OD professionals who want a rigorous account for why they encounter resistance or cynicism as they seek to drive change to seasoned smart cohorts of colleagues. And if you run a tech / engineering type organisation you will scarcely notice the 1980s timeframe save for the reference to electronic mail. A small morsel from the reputable path to expertise in professional capability. BUILDING A PRESENTATION  Turning the lump into a string. So, youve been asked to present next week at the All Hands. Youve got to talk about the goings on in your area and make it catchy and compelling. Where do you start? You have been engaged to deliver the message because you know about it (or at least someone thinks you do). What you understand about it takes the shape of a messy lump of knowledge. You know the team you work with. You know the KPIs you track. You know the history of the area. You know the stakeholders around you. Your task is to curate from this big lump of knowledge into a string of ideas. A string because there are no parallel ports in communication  you can only say one thing at a time in a sequence. So what will you say, and in what order. Heres an approach  get hold of a pad of the tiny sticky notes that are not much bigger than a postage stamp. These constrain what you can write and only write ONE single idea or concept on each note. The notes might say: market overview, Sues pie chart, Mike Tyson quote, challenges and so on. Some are pointers to large sets of ideas, some are tiny specifics. From this whole group of sticky notes stuck onto a wall or window select those that make sense for the story you want to tell. And sequence them along the wall as you go. Then, and only then, should you turn to your presentation software and start to build slides. Join us for breakfast and discussion in Sydney on how leaders might best shape and drive their culture in complex and uncertain times. 2018 was the year that culture came under the microscope in a big way. And we discovered that culture became a hot topic of debate in leadership teams and boards across all industries. 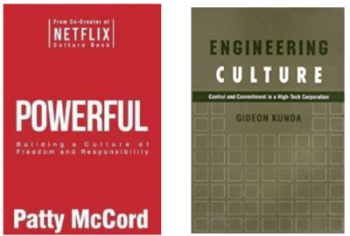 Pick up some practical hints on how to be more effective in working on your own culture. A concept from the science of skill acquisition and a brand name for our firm, 10,000 hours refers to the amount of time it takes to get good at something. To master your craft. The number is derived from the academic writings of K Anders Ericsson who studied practitioners across a wide range of cognitively rich (you have to think to do them) domains. Anders found that those at the top of their game had no less than, and sometimes much more than, 10,000 hours of deliberate practice. Deliberate practice is working on the edge of ones competence, getting feedback and pushing hard to improve. That guides everything we do here at 10,000 HOURS.